Eriophorum virginicum plants. pverdonk–CC-BY-NC. plants.ces.ncsu.edu (Accessed 8/018). 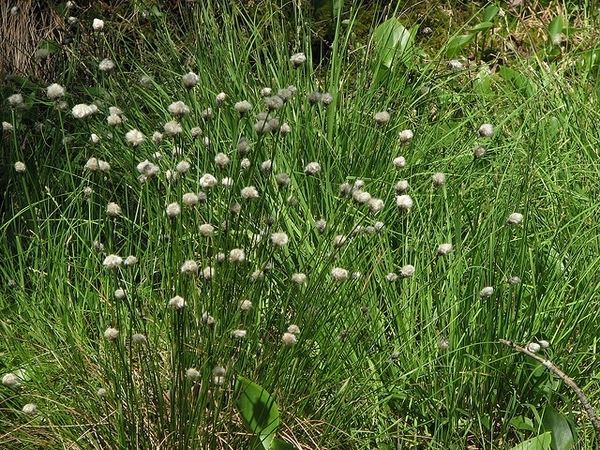 Eriophorum virginicum is a perennial grass-like (graminoid) plant, stems wiry, solitary or few, 40 cm to 1.2 m long, base rooting freely, colonial from rhizomes. Leaves flat, 0.1-0.4 cm wide, bracts below inflorescence 2, 4-12 cm, longer than inflorescence. 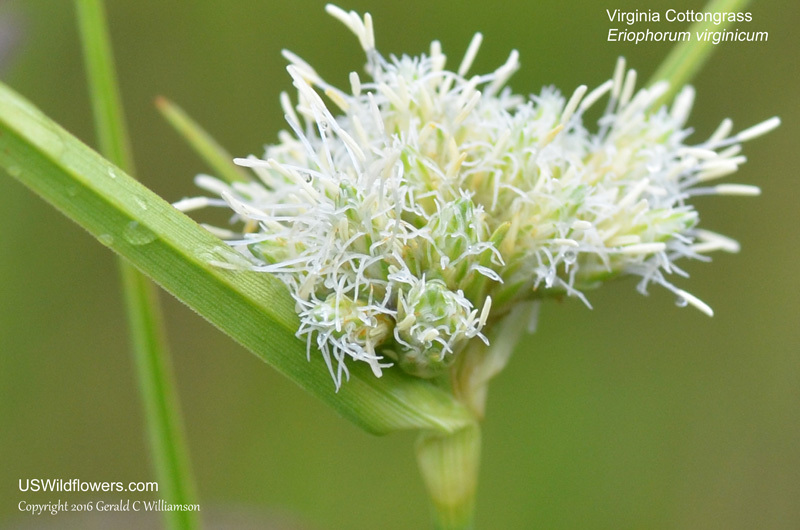 Eriophorum virginicum blooming closeup. Copyright 2016 Gerald C Williamson. USWildflowers.com (Accessed 8/01). 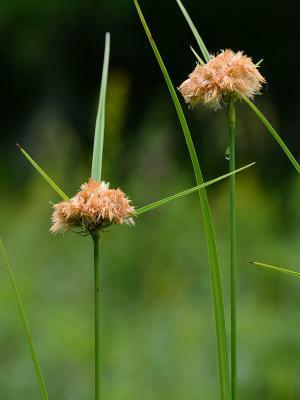 Flower spikelets in a dense cluster 1.5-6 cm wide, scales reddish-brown, ribbed, bristles numerous, tan to coppery-reddish, Aug.-Oct.
Eriophorum virginicum.Gary P. Fleming.2014. Virginia Botanical Associates, Blacksburg. .www.vaplantatlas.org (Accessed 12/2014).